Porches are a great addition to any home, providing an area of refuge in cold or wet weather while fumbling for one’s keys – somewhere to keep mucky shoes and umbrellas, and even for an extra ‘layer’ of safety between your property’s front door and the outside world. Not only are they extremely practical, but the right porch can really lift the look and feel of a home, taking it from a regular property to something far more upmarket. If the porch you are planning to build fits into any of these categories, make sure you have got planning permission from your local authority which allows the project to go ahead. 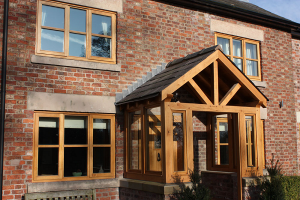 Here at Carvalo, we are proud to offer an expert timber building service to our customers. We tailor our services to exactly meet your individual needs and requirements, and with our years of experience in the industry, great prices and fantastic results, we really are a leading company in our field. For more information on any of our services, or for any other enquiry, get in touch with our friendly team of experts today and we’ll be more than happy to help with any queries you may have.